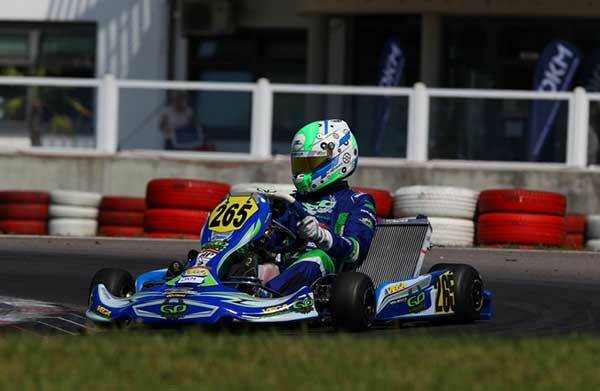 Kiwi karters Daniel Bray and Dylan Drysdale are back at the Wackersdorf kart track in Germany this week preparing for this weekend’s CIK-FIA KZ2 Super Cup meeting over the weekend. 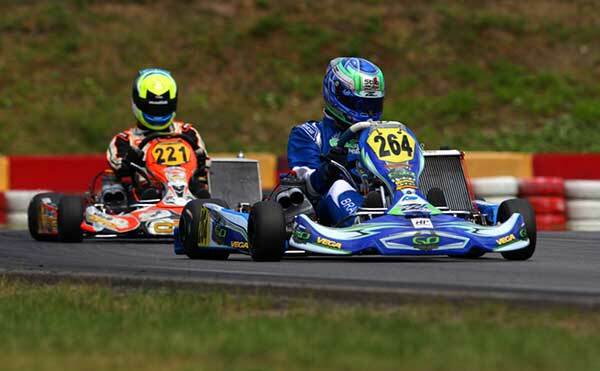 The pair, who are racing for the GP Karts’ works team, will line up against 116 other KZ2 class specialists from over 20 countries at the meeting, which shares the promo bill with this year’s CIK-FIA’s KZ class World Championship title fight. Though he is now a veteran of a number of World Cup meetings (with a best finish of third in 2013), Bray, 29, says he still gets butteflies in his stomach as the date comes around again. Though it will be a first Super Cup meeting for young gun Dylan Drysdale, both Bray and his young protégé (at just 16 years of age, Drysdale will be one of the youngest drivers in the field this weekend), contested the third round of this year’s German Kart Championship (Deutsche Kart Meisterschaft) at Wackersdorf (in south-east Germany) in July this year to prepare for this weekend’s World Cup meeting. That meeting used a two-final format with Bray finishing 18th in the first one but failed to finish the second thanks to a crash when he was challenging for 12th place. Drysdale, in contrast, DNFed the first one on the sixth lap but got a great start and drove a smart race to get up to 19th (from P30) in the second. Neither driver exactly struggled with pace despite Drysdale having to get used to the significant increase in grip that is the norm in Europe.